Wok cooking is a style that can be used to prepare stir fry meat and veggies as well as other healthy side dishes. 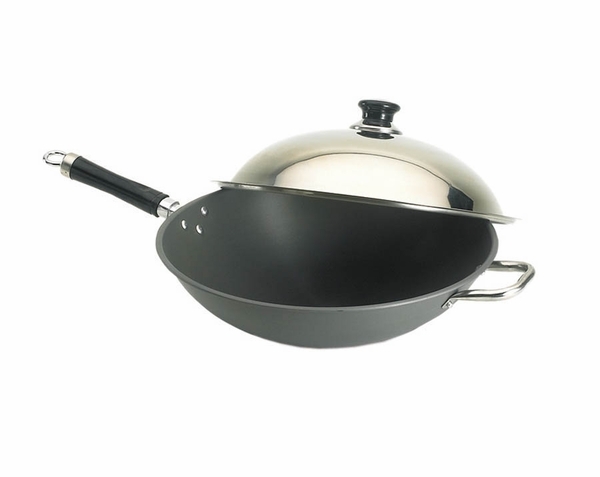 You can also use this Fire Magic wok for frying chicken or just about any other food as well. It is made of heavy-weight aluminum and comes with a domed lid. The surface is hard-anodized and stick resistant. The pan measures 15" in diameter with a depth of 5"-large enough to handle food for a crowd. WARNING: Cancer and Reproductive Harm. For more information go to www.P65Warnings.ca.gov.